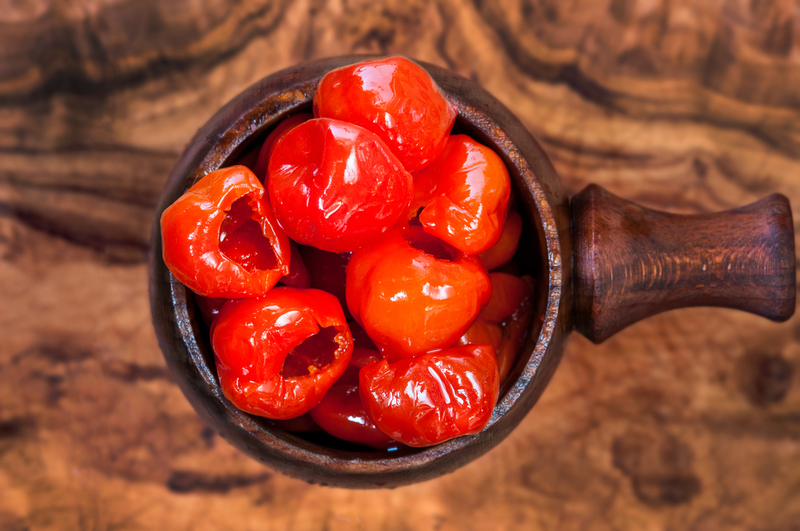 These fiery treats are the yummy Pepperdew peppers from South Africa, the balance between sweet and spicy is sublime. We leave them unstuffed so that you can add cheese if you wish (gorgonzola or manchego are very nice), they can also be chopped up and added to a pasta dish or stew to add a hint of spice. Very versatile.